Umesh Shukla’s directorial latest family drama movie All Is Well has completed first 3 days journey at box office with overall decent performance. The movie was expected to do better at box office but unfortunately it has not performed so impressively. It features Abhishek Bachchan, Rishi Kapoor, Asin & Supriya Pathak in lead roles but still not get succeed in attracting audience to good level. All Is Well received mixed reviews from critics as well as from audience across the country. Some find it entertaining and some find it as not so good, being a family entertainer it was expected to attract audience of all ages but it didn’t happened. On its first day it was done the business of 2.90 crores with overall 30% occupancy. On its second day being Saturday it showed growth and minted 3.98 crores. On the last day of weekend i.e. 3rd day, it showed more growth and the collection made by All Is Well is around 5.03 crores. Till the end of the weekend, the total domestic collection of the movie is 11.91 crores. 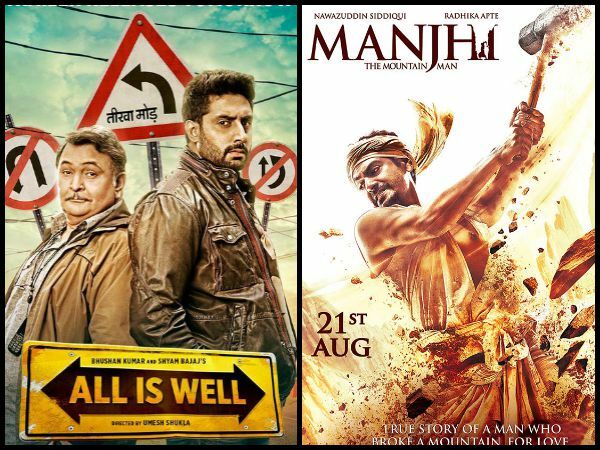 On the other hand, the second release from Bollywood this week Manjhi has received super positive response from audience but recorded very less occupancy through out the weekend. The positive waves of the movie was blowing from the time when the official trailer of the movie was released out. It was having very high pre-release hype among audience but wasn’t received much response after release. It features Nawazuddin Siddiqui & Radhika Apte, both are very fine actors of Bollywood and as always performed very well in the movie. 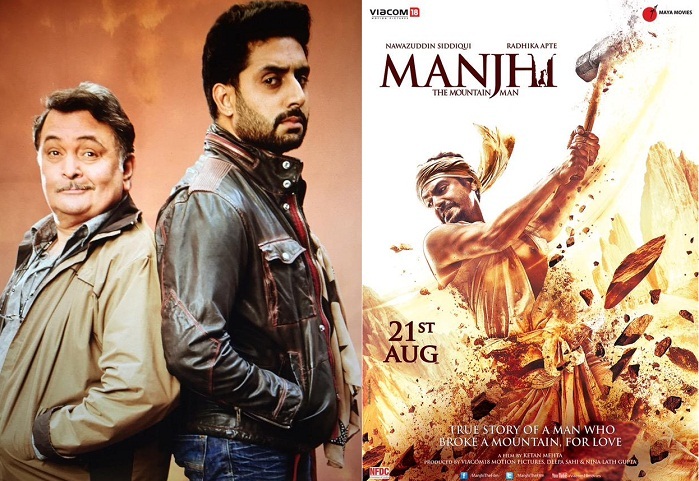 On its first day, Manjhi was done the business of only 1.40 crore with overall occupancy 10-15% in India. On Saturday, being weekend it showed good growth in its business and minted 2.25 crores as its second day collection. On the last day of weekend, the movie has recorded the collection of around 2.70 crores and made its weekend total to 6.35 crores.